Dust Collection Equipments from AEGIS are time tested and are highly effective and reliable. AEGIS manufactures both centralized as well as unitary type dust collection equipments. Unitary type Dust Collection Equipment from AEGIS can be used for single or two points and comes with mobility feature and are very light weight with easy cleaning arrangement. AEGIS manufactures complete dust collection system for controlling / checking air pollution in plant / manufacturing unit. 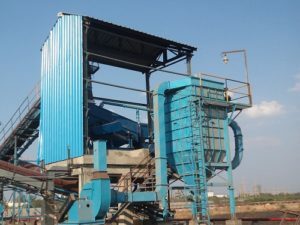 Dust Collection Systems manufactured by AEGIS can be an integral part of the Bulk Material Handling Systems supplied by AEGIS or can be installed on existing system where dusting and pollution are the problem areas.